For your convenience, you can download the handout materials here. Community foundations are often looked to in times of crisis. Before you’re faced with the unknown, it’s important to consider the role you wish to play, who you choose to partner with, and understand that your actions will be long term, not just fulfilling immediate need. Join us as we hear from a community foundation panel discussing their experiences responding in times of crisis. 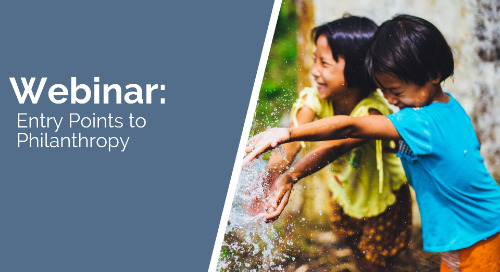 The panelists will cover everything from dealing with immediate need, the different types of disaster, and managing the long-term needs of disaster philanthropy. Lynsie Laughlin – Grants Officer, The Dallas Foundation – will discuss responding to Hurricane Harvey in Dallas - working with corporations to provide assistance for areas impacted in Summer 2017 and how they were able to react by creating programs to support local concerns. 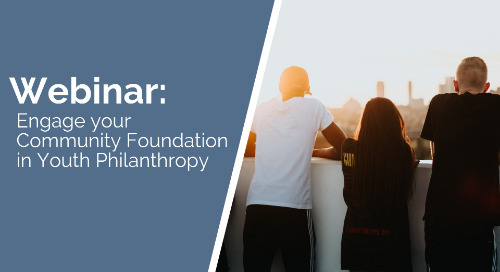 Mark Brewer – President/CEO, Central Florida Foundation – will discuss partnering with private donors and private foundations in response to not only natural disasters, but crises such as the Pulse Nightclub shooting in Florida. Beth Stipe – Executive Director, Community Foundation of North Central Washington – will discuss their response to the fires in Central Washington, what their immediate response looked like, and the lasting impact and additional work involved with disaster philanthropy. Disaster philanthropy doesn’t end when the dollars go out the door. Leverage the experience of our panel to understand how you can take the steps to make sure the people and organizations brought together in the face of disaster, continue working together for the long haul! For more than a decade, Foundant Technologies has specialized exclusively in making philanthropy easier and more impactful through intuitive technology solutions. All of our cloud-based solutions focus on grantmaker, grantseeker, scholarship provider and community foundation needs with the goal to make day-to-day tasks streamlined and help maximize the impact of the philanthropic community. As a community foundation, it’s important to understand how to best utilize social change forces to further your mission. Learn the difference between old power and new power - and when to use each. Engagement in philanthropy contributes to 22-40 developmental assets®. How are you engaging the next generations? Learn about these benefits and different entry points and models for engagement. Is your foundation actively involved in youth philanthropy? If not, you're missing out on an important aspect of donor stewardship and community development.